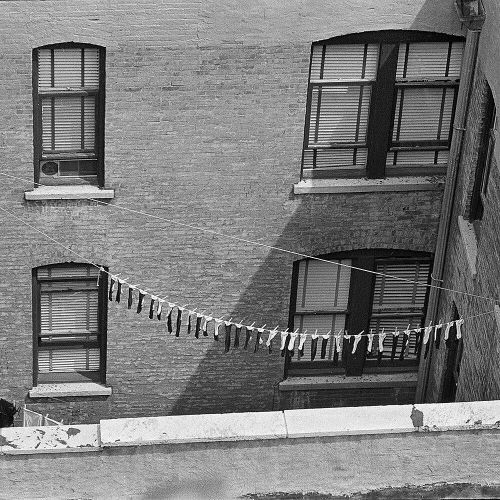 "Clothes hanging from a line in a #Harlem courtyard. In 1966, staff photographer Don Hogan Charles, the first black photographer hired by @nytimes, was assigned to spend a weekend shooting photos in his neighborhood for an article about what life was like in Harlem at that time. 50 years later, Don still lives in Harlem, but it is a neighborhood vastly different from the Harlem of his youth. The area that once was forbidding enough to outsiders to merit an article about its realities is now one that long-time black residents worry about being able to afford. This #nytweekender, we'll be sharing photos Don took in Harlem that provide a fuller portrait of the neighborhood at that time than those published in the @nytimes's 1966 article. Visit the link in our profile to see more photos from our #UnpublishedBlackHistory series." By nytimes on Instagram.